Available in orange, pink, blue, red, violet, grey, or green, Split Stick should appeal to all users. Made of anodized aluminium body encased in a rubber casing, this retractable USB device is elegant and useful. 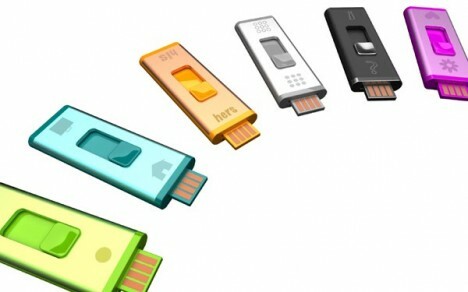 A plastic button enables users to switch easily between the two different components of the USB drive. For $19.99, users can get a double-sided USB device for twice the efficiency and double the fun.